 Clear Blue Energy Corp. is dedicated to a seamless experience. Starting with our Free Energy Savings Review, we address the needs of your property’s underground parking garage. Specializing in Utility Rebate Programs, Clear Blue Energy distributes and installs complete Monitoring Systems. Clear Blue Energy Corp uses rebate dollars to save millions of kilowatt hours of energy consumption annually. Additionally, Clear Blue Energy Corp. offers affordable Maintenance Contracts for Monitoring Systems currently in place in your parking garage. In both cases, whether the rebate or the maintenance process, your parking garage will be kept to code and be managed by the best hands. Our specialization, quality products, and professional team come together to make energy savings a seamless and effortless experience from start to finish. At Clear Blue Energy we have a unique turnkey business model where we manage all aspects of the energy savings experience. In addition to distributing, branding, installing and servicing the best in class energy savings technologies, equipment and products, we manage all of the utility company incentive and rebate processes (including all applications, pre and post inspections), as well as, all certifications for federal & state tax deductions and tax credits. We make dead certain that for every project you will receive all of the energy and cost saving benefits available. Our goal is to make your energy savings experience as painless, effortless and productive as possible. Read more on how we can help your property reduce energy needs. Clear Blue Energy Corp. is dedicated to energy savings. As such, we proudly offer a Free Energy Savings Review. These services will be carried out by our technicians that will travel to the property.